Nice, inexpensive place to livesubmitted by Marissa F. - Jan 26, 2019 |Recommended: YesThis community is a nice place to live that is well kept. I have not had any issues while living here. Campus Village Apartments has been good to ussubmitted by Joel O. - Jul 25, 2018 |Recommended: YesLiving at Campus Village Apartments overall has been a good experience. The parking availability is awesome, there is a spot for you and your roommate s , plus guests. Compared to other apartments here in town, often times parking can be a struggle and inconsistent. The room sizes are exceptional with closet space big enough to accommodate the size of the room. Each apartment comes with a balcony or patio which has been a treat early morning reads or late night star gazing is pleasant after a long day of work and studying. Again, other apartments have do not provide such a luxury. The staff and maintenance crew have always been easy going, friendly, and professional. Jeff, one of the managers we had the privilege of working with made our experience warm and welcoming, making our experience exceptional by moving in swift and making us feel a priority Jeff was able to accommodate our request of having an apartment with a balcony. Thanks Jeff The quality of the fixtures and building material within our apartment is where we found SOME issues. For starters our kitchen area was smaller than we hoped but their is just enough cabinet space to strategically find places for groceries utensils. Our solution, we bought a toilet towel rack and put it over our trash can which held the rest of our things. We had issues with our cabinet handles coming off, but the maintenance crew fixed it right away Our bathroom was noticeably updated with a new sink counter top and cabinets. The toilet and shower works great our water pressure, and hot water has never been an issue.  My only negative comment I could say about campus village apartments is that they are older apartments, and sometimes we could hear our neighbors when they had their TV up loud, music, or if for whatever reason there was shouting. However, this was not a constant issue. Through our experience we had not needed to contact management or speak with the neighbors, but we believe if we did our neighbors would be respectful and considerate of our request. The community here is also pleasant, we had no issues with others parking in our designated spots, parties, or any theft. Overall, Campus Village is a great place to live. We would definitely recommend . Overallsubmitted by Rebecca . - Apr 10, 2018 |Recommended: YesI had the best living experience at Campus Village Apartments. Maintenance was always responsive to any issues we had and staff is very nice and accomadating. response from property - Apr 11, 2018 Thank you for your feedback, Rebecca. We are very happy to hear that your experience with us was positive. Our residents are always our first priority. We wish you the best of luck in your new home. I really like the property, it's clean and surprisingly very nice on the inside.submitted by Panisesi T. - Apr 08, 2018 |Recommended: YesThese apartments aren't bad living in and everybody around us are really nice. Maintenancesubmitted by Nancy G. - Feb 27, 2018 |Recommended: YesThe apartments looks so nice and the stuff is always checking the apartments and giving maintenance to the building, so good job. response from property - Mar 09, 2018 Thank you for the kind words, Nancy. We hope that you continue to enjoy living with us. Please feel free to reach out to us if you ever need anything. Don't judge a book by a coversubmitted by Madison K. - Feb 22, 2018 |Recommended: YesDon't judge a book by a cover,the remodeled apartments insides are very nice. The staff is nice and always willing to help. The Maintenance staff are alway here right away to fix your complaint. over all a wonderful community that makes you feel at home. response from property - Mar 09, 2018 Thank you for the kind words, Madison. We are very happy to hear that our maintenance crew has been doing so well and that you feel at home here. Please feel free to reach out to us with anything that you might need. Decent Placesubmitted by Raquel E. - Feb 08, 2018 |Recommended: YesIt's really nice living here, the apartments are clean and large space for single or couple. Best part, it's Pet friendly here so we could bring our dog. One of the downsides is that we can hear our upstairs neighbors at night, not something we want to hear. response from property - Mar 09, 2018 Thank you for the kind words, Raquel. We love being a pet friendly community and having your four legged family members onsite. Please feel free to come in and talk to us about any noise issues you might be experiencing. We want you to feel as comfortable as possible in your home.